There are 39 categories of forbidden activities in Shabbat. They are called melakhot. Melakhot are not necessarily hard work (see here), but (most of them) creative activities or modifications in nature. One of the 39 melakhot is "lighting" a fire (hab'arat esh). The special thing about "lighting" is that while none of the other forbiddenmelakhot was specified in the Tora, lighting a fire was singled out in a special pasuq: lo teba'aru esh (Shemot 35:3) "Do not light a fire...on the day of Shabbat".. The rabbis reasoned that lighting was single out as an example of a melakha and they learned from it that each melakha is a prohibition in itself. It could also be argued that perhaps fire was singled out as an example, because fire is nature's most important agent of modification: metals are modified by fire, food is prepared with fire, cold is defeated with fire. And later on, with fire men produced machines moved by vapor and heat, which brought about the major sources of energy, which brought industrialization and the beginning of modern technology (Penine Halakha). During Shabbat we elevate ourselves above the level of altering, modifying and improving the physical world. We rest from our working routine to modify, advance and improve our individual and family values and spiritual lives. During Shabbat we are forbidden to light or ignite any fire. Regardless of its size or intensity. It could be a big fireplace or a small match. Also, any way of producing a fire is forbidden: using a match, a lighter or even by solar heat through a magnifier glass, etc. The Tora also forbids on Shabbat to transfer a fire from an existing fire or even to increase an already ignited flame by adding oil, wood, gas, etc. ONE OF THE MOST BEAUTIFUL and INSIGHTFUL PRESENTATIONS I HAVE EVER WATCHED! THE 13 PRINCIPLES: Moshe was the greatest Prophet. Previously, we analyzed the Sixth principle of the Jewish faith which describes the nature of prophecy and the character of the prophets of Israel (see here ). The Seventh principle is also about prophecy. But it discusses the particulars of one Prophet: Moshe Rabbenu, the greatest prophet, before and after him. Our Rabbis explained that the level of prophecy of Moshe Rabbenu was higher than the level of all others. All other prophets received their prophetic message by the means of a vision in a sort of trance, or in a dream. The possibility of being conscious allowed Moshe Rabbenu to 'talk back' to God. Once, for example, Moshe even asked God a "personal" question. After the sin of the golden calf, an intense encounter took place between God and Moshe. Moshe prayed to HaShem to forgive the Jewish people. At one point, Moshe Rabbenu said to God: "Show me Your glory". Our Chakhamim explained that Moshe was asking God a poignant question: "Why do You allow bad things to happen to good people?" Perhaps on behalf of all humankind, Moshe expressed to God the question that so often troubles the mind of many believers. God's answer to Moshe is a matter for a long analysis. But as it refers to our subject, God taught Moshe (and us) that the answer to that question was beyond man's understanding (ki lo yrani ha-adam vachai), a living human being cannot perceive/understand God, i.e., there are matters which are even beyond Moshe's understanding. Moshe Rabbenu, the greatest prophet, was still a man, not a human-god. Rabbi Benedetto Frizzi (1756-1844) or Benzion Rafael haKohen Frizzi was a Rabbi and a prominent scientists and physician in Italy. Due to his brilliant mind he was encouraged by his parents to study Torah, Talmud and Hebrew Grammar at the school of rabbinic studies in Fiorenzuola. 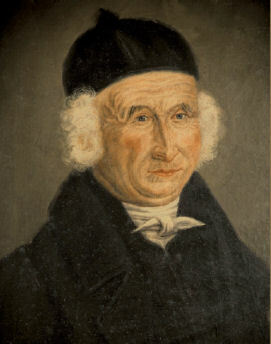 He completed his rabbinical training at Mantua, where he moved in 1769, at the rabbinical academy established by Rabbi Jacob Saraval. In Mantua he also completed his academic studies in Philosophy, Latin and Mathematics. Previously, he had studied engineering and he was qualified as an expert land surveyor at the age of 16. He also had a passion for the medical sciences. He enrolled at the faculty of Medicine at the University of Pavia and graduated in 1787. In 1789, he accepted the invitation of the imperial government and moved to Trieste where he practiced medicine. In 1816, in this city he founded a Jewish hospital where indigent patients were attended for free. He wrote several books in Italian showing to Jews and gentiles the code of public health of the Pentateuch (= Tora). For example: "Dissertation on medical policies in the Pentateuch in regard to cleaning of streets and houses, and priestly laws of agriculture" (Cremona 1790). The precepts given in the Torah, rabbi Frizzi said are a "True Health Code" applied to the spiritual and moral elevation of man. One of his most important books was "petach 'enayim" (opening of the eyes) a scientific explanation of the Talmud (hagadot and halakhot), in seven volumes. In this book, written in Hebrew, Rabbi Frizzi shows the vast and advance knowledge of our Rabbis. One thing I remember from his book is how he identifies the maziqin, which the Rabbis of the Talmud portrayed as "invisible damaging creatures", with the newly discovered "bacterias". This unfortunately unknown book is accesible to all of us now, BH, thanks to Hebrewbooks.org. Click here to read or download the book. "Philosophical, mathematical and physical analysis of those subjects contained in the Talmud collected in a special book called Israelitici populi Oculus". Rabbi Frizzi's credentials were presented in the 1880 edition. "Benedetto Frizzi, Rabbi, Engineer, and doctor of Philosophy and Medicine, from Ostiano, Province of Cremona, partner in various academies." We already spoke about the value of saying the truth in Judaism. And how, the closer we bring ourselves to hold the truth, the closer we become to God Almighty, Whose seal (=signature) is EMET the truth; the ultimate reality (see here). In the tractate of Yebamot (65b) the Rabbis explained that in certain circumstances PEACE (shalom) should be considered above the TRUTH. Now, this is an extremely delicate issue and this principle cannot be applied indiscriminately. The Rabbis then, gave a restrictive illustration from which we learn the dynamics between "truth" and "peace". Aharon haKohen, the brother of Moshe Rabbenu, was the champion of peace-making in the Jewish people. When two people would fight, he would go to each one of them separately and he would tell him, from his own mind, how much the other one regrets and feels bad about the fight. When they would meet, they would embrace and kiss each other, and go back to their friendship. Aharon was so loved for his work in promoting peace that when he died, the Tora says that "KOL" Israel cried for him: every single individual felt indebted to him for his work in the promotion of peace. It is important to mention that this mediation technique should be applied ONLY if there is no harm for any of the parties. However, if by modifying the truth, one of the parties will be harmed or would have his rights violated, then it is forbidden not to say the truth. If I know, beyond a doubt, that Mr. A is going to harm (physically, financially, etc.) Mr B, I cannot lie or even remain silent "to promote the peace." it is a Mitzva to save a fellow man from any kind of harm (lo ta'amod al dam re'ekha. Vayiqra 19:16). by Kasim Hafeez, from Aish. The institution of marriage is a Biblical innovation. Before the Tora was given to the Jewish people, explains Maimonides, a man would find a woman, bring her to his home and they would live together and bring children without any previous public commitment or formal ceremony. Also, since there was no institution of marriage there was no formal process of divorce. If one of them wished to leave, he or she could do so at any moment. Once the Tora was given, the Mitzva of marriage was established: when a man and a woman wish to live together, first, they should get married . This is learned from the Pasuq in Debarim 22:13 "When a man marries a wife ..." . (The Tora also established that once married, if the couple wanted to separate, they must do so by a process called: girushin or get keritut: formal separation or divorce). Jewish marriage is a ceremony of a public nature and therefore it requires, at least, the presence of two witnesses. The wedding process consists of two steps: Kiddushin and Chupa. The first one, Kiddushin (also known as Irusin) is a formal consecration or engagement (not to be confused with the engagements we have today!!!). At this step, and to establish the formality of the bond and commitment between the man and the woman, the groom consecrates the bride. This consecration is performed by a legal process of acquisition or qinyan. The standard custom today is doing this qinyan under the Chupa by giving a ring to the bride. When the groom gives the ring to the bride he consecrates her saying: "Behold, you are consecrated to me (to be my wife ) by this ring according to the law of Moshe and Israel". Upon receiving the ring the couple are formally engaged or consecrated to each other. However, the couple will be considered formally married only after the Chupa.